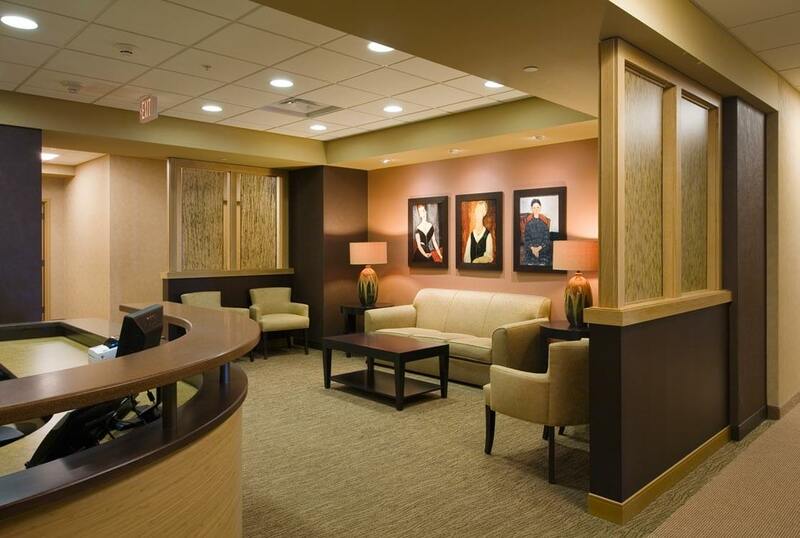 This clinic offers primary care and specialties including: Family Practice, Obstetrics, Gynecology, and a Surgical Division. 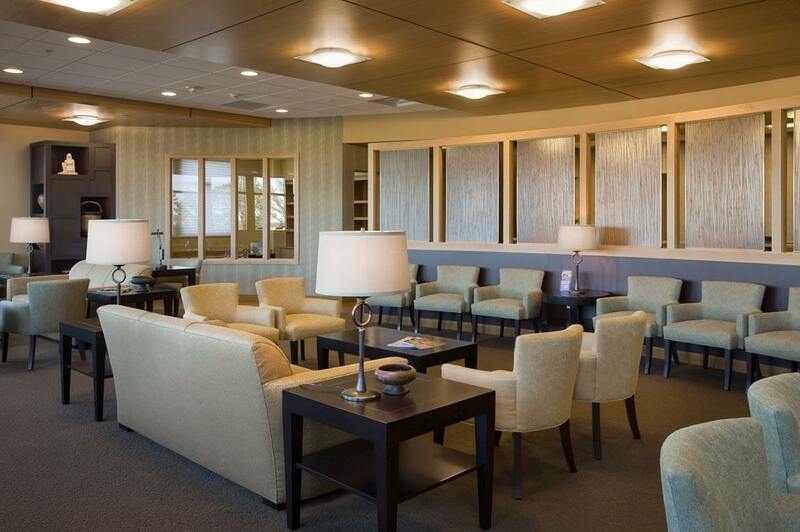 The clinic space includes 30 exam rooms, x-ray, mammography, blood draw, infusion, procedure, nurse stations, infusion, triage and scheduling areas, as well as medical records, staff break room and conference areas. Shared services such as radiology and lab are centrally located. 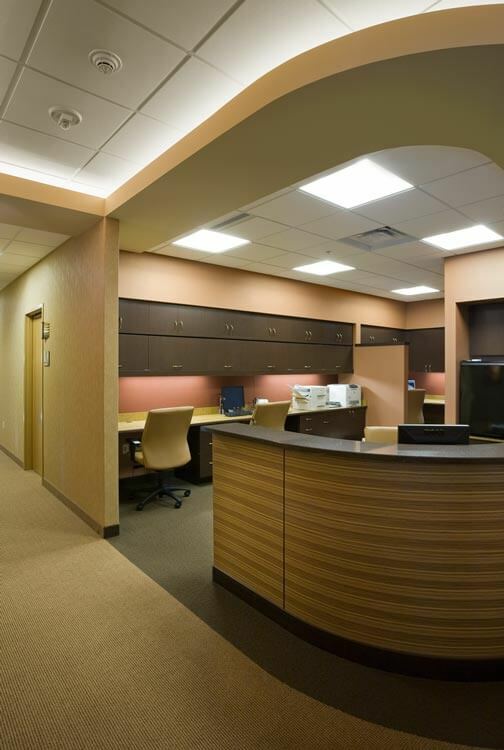 Nurse stations are each dedicated to a defined number of exam rooms allowing the space to function at its maximum potential. The design includes a rich color palette with deep orange and green tones integrated with soft serpentine curves. 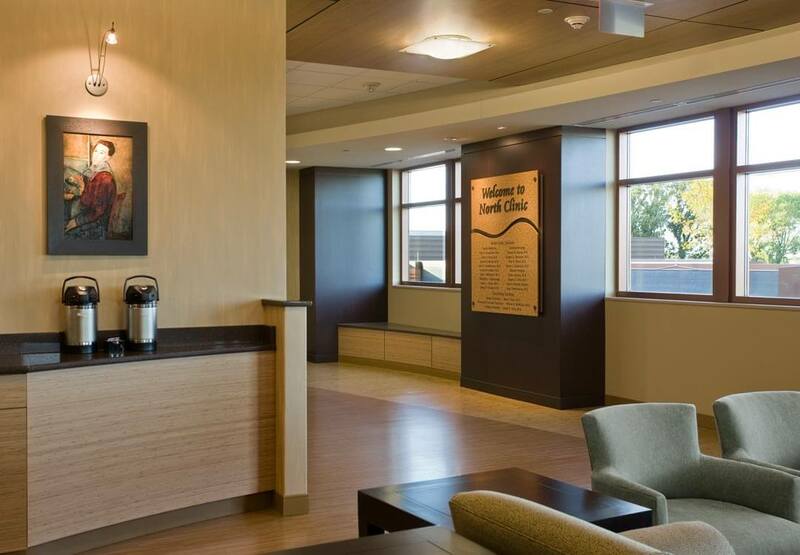 Varying wood tones and beautiful art work throughout the space, create interest and lend themselves to creating a comfortable patient environment.